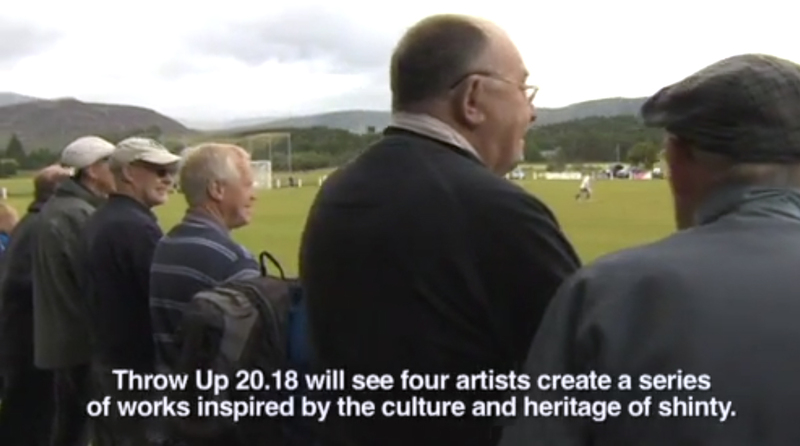 Two of our Throw Up 20.18 artists – John McNaught and Deirdre Nelson – were interviewed for the Half Time Feature on BBC Alba’s live coverage of the Camanach Cup semi-final on 26 August. Great to see John and Deirdre discussing their plans for developing artwork with Skye Camanachd and Newtonmore Camanachd Club. Available on BBC iPlayer until 24 Sep, about 53 mins in. Congratulations to Newtonmore who’ll be meeting Lovat in the Camanachd Cup Final on 30 Sep at the Bught Park in Inverness – looking forward to it! Throw Up 20.18 is funded by Highland Culture Strategic Board’s ‘Highland Culture: Take Pride, Take Part’ programme.